Best known for his portrayal of Seventh Doctor Who and Radagast the Brown in Peter Jackson’s adaptation of The Hobbit, the English actor and comedian Sylvester McCoy (Percy James Patrick Kent-Smith) was Born 20 August 1943 in Dunoon, on the Cowal peninsula, to an Irish mother and English father, killed in action in World War II a couple of months before his son was born. His maternal grandmother was from Portadown, Northern Ireland. He was raised in Dunoon where he attended St. Mun’s School. He then studied for the priesthood at Blair’s College, a seminary in Aberdeen between the ages of 12 and 16, but he gave this up and continued his education at Dunoon Grammar School. After he left school he moved to London where he worked in the insurance industry for five years. He worked in The Roundhouse box office for a time, where he was discovered by Ken Campbell. He came to prominence as a member of the experimental theatre troupe “The Ken Campbell Roadshow”. His best known act was as a stuntman character called “Sylveste McCoy” in a play entitled An Evening with Sylveste McCoy (the name was coined by actor Brian Murphy, part of the Roadshow at the time), where his stunts included putting a fork and nails up his nose and stuffing ferrets down his trousers, and setting his head on fire. As a joke, the programme notes liSylveste McCoy as played by “Sylveste McCoy” and, after a reviewer missed the joke and assumed that Sylveste McCoy was a real person, Kent-Smith adopted this as his stage name. Some years later, McCoy added an “r” to the end of “Sylveste”, in part because of the actors’ superstition that a stage name with thirteen letters was unlucky. Notable television appearances before he gained the role of the Doctor included roles in Vision On (where he played Pepe/Epep, a character who lived in the mirror), an O-Man in Jigsaw and Tiswas. He also appeared in Eureka, often suffering from the inventions of Wilf Lunn and as Wart, assistant to StarStrider in the CITV series of the same name. McCoy also portrayed, in one-man shows on the stage, two famous movie comedians: Stan Laurel and Buster Keaton. He also appeared as Henry “Birdie” Bowers in the 1985 television serial about Scott’s last Antarctic expedition, The Last Place on Earth. McCoy also had a small role in the 1979 film Dracula opposite Laurence Olivier and Donald Pleasence, and has sung with the Welsh National Opera. McCoy became the Seventh Doctor after taking over the lead role in Doctor Who in 1987 from Colin Baker. He remained on the series until it ended in 1989, ending with Survival (see List of Doctor Who episodes (1963–1989)). As Baker declined the invitation to film the regeneration scene, McCoy briefly wore a wig and appeared, face-down until the last moment before the regeneration commenced, as the sixth Doctor. He played the Doctor in the 1993 charity special Dimensions in Time, and again in 1996, appearing in the beginning of the Doctor Who television movie starring Paul McGann as the Eighth Doctor. In his first series, McCoy, a comedy actor, portrayed the character with a degree of clown-like humour, but script editor Andrew Cartmel soon changed that when fans argued that the character (and plots) were becoming increasingly lightweight. The Seventh Doctor developed into a much darker figure than any of his earlier incarnations, manipulating people like chess pieces and always seeming to be playing a deeper game. A distinguishing feature of McCoy’s performances was his manner of speech. He used his natural slight Scottish accent and rolled his rs. At the start of his tenure he used proverbs and sayings adapted to his own ends (e.g. “There’s many a slap twixt cup and lap” – Delta and the Bannermen), although this characteristic was phased out during the later, darker series of his tenure. In 1990, readers of Doctor Who Magazine voted McCoy’s Doctor “Best Doctor”, over perennial favourite Tom Baker. Since 1999 he has continued acting in the role of the Seventh Doctor in a series of audio plays for Big Finish Productions. After the original series of Doctor Who ended McCoy appeared a number of televison roles including Michael Sams in the 1997 drama Beyond Fear, shown on the first night of broadcast of Five. He has also returned to play the Seventh Doctor in a series of audio plays by Big Finish Productions. In 1988, while still appearing in Doctor Who, McCoy presented a BBC children’s programme called What’s Your Story?, in which viewers were invited to phone in suggestions for the continuation of an ongoing drama.. In the early 1990s, McCoy was attached in the role of Governor Swann in Pirates of the Caribbean: The Curse of the Black Pearl when Steven Spielberg was planning on directing, but Disney did not give permission for the film to be made. McCoy was the second choice to play the role of Bilbo Baggins in the Peter Jackson The Lord of the Rings film trilogy, but went on to portray Radagst the Brown instead in The Hobbit. In 1991, he presented the Doctor Who video documentary release The Hartnell Years showcasing selected episodes of missing stories from the First Doctor’s era. McCoy has also acted extensively in theatre in productions as diverse as pantomime and Molière. He played Grandpa Jock in John McGrath’s A Satire of the Four Estaites (1996) at the Edinburgh Festival. He played the role of Snuff in the macabre BBC Radio 4 comedy series The Cabaret of Dr Caligari. He also appeared as the Sheriff of Nottingham in a musical version of Robin Hood that featured songs by British composer and lyricist Laurence Mark Wythe at the Broadway Theater, Lewisham in London. He also appeared as the lawyer Dowling in a BBC Production of Henry Fielding’s novel, The History of Tom Jones, A Foundling. In 2001 McCoy appeared in Paul Sellar’s asylum comedy “The Dead Move Fast” at the Gilded Balloon as part of the Edinburgh Festival Fringe, playing the role of Doctor Mallinson. In 2012 McCoy played the part of the suicidal Mr. Peters in JC Marshall’s play, Plume, at the Tron Theatre in Glasgow. McCoy has also appeared with the Royal Shakespeare Company in The Lion, the Witch, and the Wardrobe and in King Lear in 2007, playing the Fool to Ian McKellen’s Lear, a performance which made use of McCoy’s ability to play the spoons. The RSC production with McKellen and McCoy was staged in Melbourne, during late July/early August 2007 and Wellington and Auckland, New Zealand, during mid to late August 2007. It came into residence at the New London Theatre in late 2007, ending its run in January 2008. He reprised the role for the 2008 television movie. In May 2008 he performed with the Carl Rosa Opera Company in a production of Gilbert and Sullivan’s The Mikado, playing the title role. He only performed with the company briefly, for the week of the show’s run performing at the Sheffield Lyceum. Despite being set in Japan, he was able to demonstrate his ability to play the spoons by using his fan. In 2009 McCoy played the character of Mr. Mushnik in the Chocolate Factory’s production of Little Shop of Horrors. He has also made guest appearances in the television series The Bill, the Rab C. Nesbitt episode “Father” as Rab’s mentally ill brother Gash Sr and the Still Game episode “Oot” (AKA “Out”), where he played a hermit-type character adjusting to life in modern Glasgow, having remained in his house for over 30 years. In October 2008, he had a minor guest role as an injured ventriloquist on Casualty. In the same month McCoy guest starred in an episode of the BBC soap opera Doctors, playing an actor who once played the time-travelling hero of a children’s television series called “The Amazing Lollipop Man”. The role was written as a tribute to McCoy. In 2016, McCoy appeared in the three-part BBC series The Real Marigold Hotel, which followed a group of celebrity senior citizens including Miriam Margolyes and Wayne Sleep on a journey to India. Best known for her portrayal of feisty Doctor Who companion Ace, alongside Sylvester McCoy, the English Actress Sophie Aldred was Born 20 August 1962 in Greenwich, London, but grew up in nearby Blackheath. She sang in the church choir of St James’, Kidbrooke and attended Blackheath High School from 1973 until 1980, before enrolling as a drama student at University of Manchester. She graduated in 1983 and decided to embark on a career in children’s theatre. She also sang in working men’s clubs around Manchester. In 1987, she was cast as Ace in Doctor Who, initially for Dragonfire, the final story of the series’ twenty-fourth season. Her tenure on the show spanned the last nine stories of the programme’s original run, which ended in 1989. In January 1992, she guested in More than a Messiah, one of the Stranger original videos starring Colin Baker, also formerly of Doctor Who. Both before and since Doctor Who, Aldred has had a varied and busy television career, particularly in children’s programming, where she has presented educational programmes such as Corners, Melvin and Maureen’s Music-a-grams (which ran from 1992 to ’96), Tiny and Crew (which she presented, 1995–99), the BBC series Words and Pictures (since 1992), and also CITV paranormal show It’s a Mystery in 1996. She also played the character Minnie The Mini Magician from Series 8 onwards on CITV’s ZZZap! between 1999 and 2001. Aldred has presented and sung in several BBC Schools Radio series, including Singing Together, Music Workshop, Time and Tune and Music Box. She has also performed on radio and in the theatre. In 1993 She reprised her role as Ace in the 30th anniversary charity special Dimensions in Time and the Doctor Who audio plays produced by Big Finish Productions. She was also set to reprise her role in Doctor Who: The Movie. Throughout the 2000s she has worked extensively as a voice-over artist for television advertisements and has also provided voices for animated series such as Bob the Builder, Sergeant Stripes, the UK dubbed version of the CGI animated version of the Australian TV series Bananas in Pyjamas, El Nombre, Peter Rabbit, Noddy in Toyland, The Magic Key. She co-wrote the hardcover nonfiction book, Ace, The Inside Story of the End of An Era with Mike Tucker, and provided voices for the 2009 series Dennis and Gnasher, including that of title character Dennis the Menace. She was also a former presenter of the 1996 CITV Saturday morning magazine programme; WOW!. Since 2012 Aldred has provided the voice of Tom in Tree Fu Tom, a BBC children’s series. The series’ other main voice actor, David Tennant (who voices Twigs), previously played the Tenth incarnation of the Doctor in Doctor Who. In November 2013 she appeared in the one-off 50th anniversary comedy homage The Five(ish) Doctors Reboot. In 2018, Aldred was confirmed to reprise the role of Ace in six audio dramas set during the first season of Class. Dave Brock, musician with Hawkwind was born 20 August 1941. 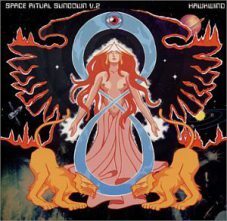 Hawkwind are one of the earliest space rock groups and are known for playing “space-rock”, a hybrid of hard-rock and acid-rock that united the sonic power of the former and the free improvisation of the latter. Formed in November 1969, Hawkwind have gone through many changes and styles of music. Dozens of musicians, dancers and writers have worked with the group since their inception. 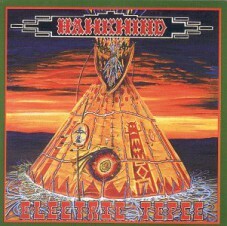 The 1970 debut album was entltled Hawkwind. Although it was not a commercial success, it did bring them to the attention of the UK underground scene finding them playing free concerts, benefit gigs, and festivals. Playing free outside the Bath Festival, they encountered another Ladbroke Grove based band, the Pink Fairies, who shared similar interests in music and recreational activities; a friendship developed which led to the two bands becoming running partners and performing as “Pinkwind”. Their use of drugs, however, led to the departure of Harrison, who did not imbibe, to be replaced briefly by Thomas Crimble (about July ’70 – March ’71). Crimble played on a few BBC sessions before leaving to help organise the Glastonbury Free Festival 1971; Lloyd-Langton also quit, after a bad LSD trip at the Isle of Wight Festival led to a nervous breakdown. Their follow up album, 1971’s X In Search of Space, brought greater commercial success, reaching number 18 on the UK album charts, and also saw the band’s image and philosophy take shape, courtesy of graphic artist Barney Bubbles and underground press writerRobert Calvert, as depicted in the accompanying Hawklog booklet which would further be developed into the Space Ritual stage show. Science fiction author Michael Moorcock and dancer Stacia also started contributing to the band. Dik Mik left the band, replaced by sound engineer Del Dettmar, but chose to return for this album giving the band two electronics players. Bass player Dave Anderson, who had been in the German band Amon Düül II, had also joined and played on the album but departed before its release because of personal tensions with some other members of the band.Anderson and Lloyd-Langton then formed the short-lived band Amon Din. Meanwhile, Ollis quit, however. The addition of bassist Ian “Lemmy” Kilmister and drummer Simon King propelled the band to greater heights. One of the early gigs this band played was a benefit for the Greasy Truckers at The Roundhouse on 13 February 1972. A live album of the concert Greasy Truckers Party was released, and after re-recording the vocal, a single “Silver Machine” was also released, reaching number 3 in the UK charts. This generated sufficient funds for the subsequent album Doremi Fasol Latido Space Ritual tour. The show featured dancers Stacia and Miss Renee, mime artist Tony Carrera and a light show by Liquid Len and was recorded on the elaborate package Space Ritual. At the height of their success in 1973, the band released the single “Urban Guerrilla” which coincided with an IRA bombing campaign in London, so the BBC refused to play it and the band’s management reluctantly decided to withdraw it fearing accusations of opportunism, despite the disc having already climbed to number 39 in the UK chart. Dik Mik and Calvert departed during 1973. so Simon House was recruited as keyboardist and violinist playing live shows, a North America tour and recording the 1974 album Hall of the Mountain Grill. Dettmar also left whilst Alan Powell deputised for King on the European tour, and later joined King. In 1975, the band recorded the album Warrior on the Edge of Time in collaboration with Michael Moorcock. Then during a North America tour in May, Lemmy was caught in possession of amphetamine crossing the border from the USA into Canada. The border police mistook the powder for cocaine and he was jailed, forcing the band to cancel some shows. Fed up with his erratic behaviour, the band fired the bass player. replacing him with their long-standing friend and former Pink Fairies guitarist Paul Rudolph. Lemmy then teamed up with another Pink Fairies guitarist, Larry Wallis, to form Motörhead, named after the last song he had written for Hawkwind. Robert Calvert made a guest appearance with band for their headline set at the Reading Festival in August 1975, after which he chose to rejoin the band as a full-time vocalist and front man. Amazing Music is the first album of this era and highlights both Calvert’s well-crafted lyrics written with stage performance in mind and a greater proficiency and scope in the music. But on the eve of recording the follow-up Back on the Streets single, Turner was sacked for his erratic live playing and Powell was deemed surplus to requirements. After a tour to promote the single and during rehearsals for the next album, Rudolph was also sacked for allegedly trying to steer the band into a musical direction at odds with Calvert and Brock’s vision. 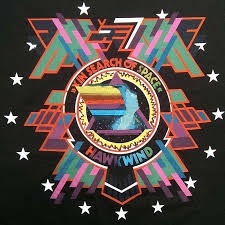 In late 1979, Hawkwind reformed with Brock, Bainbridge and King being joined by Huw Lloyd-Langton (who had played on the debut album) and Tim Blake (formerly of Gong), embarking upon a UK tour resulting in the Live Seventy Nine album, quickly followed by the studio album Levitation. However, during the recording of Levitation King quit and Ginger Baker was drafted in for the sessions, but he chose to stay with the band for the tour, and Brock and Bainbridge elected to handle synthesizers and sequencers themselves, with drummer Griffin from the Hawklords rejoining. This band headlined the 1981 Glastonbury Festival and made an appearance at the 1982 Donington Monsters of Rock Festival, as well as continuing to play the summer solstice at Stonehenge Free Festival.In the early 1980s Nik Turner had returned as a guest for the 1982 Choose Your Masques tour and was invited back permanently. . The Earth Ritual tour was filmed for Hawkwind’s first ever video release, Night of the Hawk. Then a young fan named Alan Davey sent a tape of his playing to Brock and Brock chose to oust Reeves moving Bainbridge from bass to keyboards in order to accommodate Davey. This experimental line-up played at the Stonehenge Free Festival in 1984, which was filmed and release as Stonehenge 84. Subsequent personal and professional tensions between Brock and Turner led to the latter’s expulsion at the beginning of 1985. Clive Deamer, who was deemed “too professional” for the band, was eventually replaced in 1985 by Danny Thompson Jr, a friend of bassist Alan Davey, and remained almost to the end of the decade. A reunion event featuring appearances from past and present members intended to coincide with the band’s 30th anniversary and the release of the career spanning Epocheclipse – 30 Year Anthology set took place 21 October 2000 at the Brixton Academy with about 20 members taking part in a 3+ hour set which was filmed and recorded. Guests included Samantha Fox who sang “Master of the Universe.” The Hawkestra had set a template for Brock to assemble a core band of Tree, Brock, Richards, Davey, Chadwick and for the use of former members as guests on live shows and studio recordings. The 2000 Christmas Astoria show was recorded with contributions from House, Blake, Rizz, Moorcock, Jez Huggett and Keith Kniveton and released as Yule Ritual the following year. In 2001, Davey agreed to rejoin the band permanently, but only after the departure of Tree and Richards.Meanwhile, Turner organised further Hawkestra gigs resulting in the formation of xhawkwind.com, a band consisting mainly of ex-Hawkwind members and playing old Hawkwind songs. 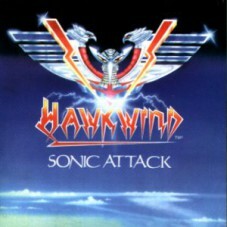 An appearance at Guilfest in 2002 led to confusion as to whether this actually was Hawkwind, sufficiently irking Brock into taking legal action to prohibit Turner from trading under the name Hawkwind. Turner lost the case and the band now performs as Space Ritual. In 2005 the long anticipated new album Take Me to Your Leader was released. Recorded by the core band of Brock/Davey/Chadwick, contributors included new keyboardist Jason Stuart, Arthur Brown, tabloid writer and TV personality Matthew Wright, 1970s New Wave singer Lene Lovich, Simon House and Jez Huggett. This was followed in 2006 by the CD/DVD Take Me to Your Future. Alan Davey left in 2007 And was replaced by Roadie Mr Dibs”, a long-standing member of the road crew. The band performed at their annual Hawkfest festival and headlined the US festival Nearfest and played gigs in PA and NY. At the end of 2007, Tim Blake once again joined the band filling the lead role playing keyboards and theremin. The band played 5 Christmas dates, the London show being released as an audio CD and video DVD under the title Knights of Space. Sadly On 8 September 2008 keyboard player Jason Stuart died due to a brain haemorrhage. In October 2008, Niall Hone joined Hawkwind for their Winter 2008 tour playing guitar, along with returning synth/theremin player Tim Blake. During this period, Hone also occasionally played bass guitar alongside Mr Dibs and used laptops for live electronic improvisation.In 2009, the band began occasionally featuring Jon Sevink, from The Levellers as guest violinist at some shows. Later that year, Hawkwind embarked on a winter tour to celebrate the band’s 40th anniversary, including two gigs on 28 and 29 August marking the anniversary of their first live performances. In 2010, Hawkwind held their annual Hawkfest at the site of the original Isle Of Wight Festival, marking the 40th anniversary of their appearance there. On 21 June 2010, Hawkwind released a studio album entitled Blood of the Earth. Since early 2011 Hone has primarily played bass onstage, while Mr. Dibs has moved to a more traditional lead singer role, supplemented with occasional cello work. April 2012 saw the release of a new album, Onward, on the Plastichead’s Eastworld Records imprint. Keyboardist Dead Fred rejoined Hawkwind for the 2012 tour in support of Onward and has continued to perform with the band on subsequent tours.In November 2012, a power trio subset (Brock, Chadwick and Hone) of the current touring line-up released an album under the name “Hawkwind Light Orchestra,” titled Stellar Variations, on the Esoteric Recordings sub-label of Cherry Red Records. 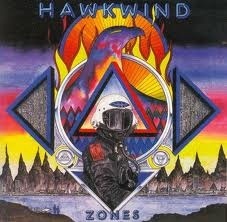 In March 2013, Hawkwind held a two-day festival, “Hawkeaster”, at Seaton Town Hall in Devon. The band chose the Town Hall in an effort to save the venue from closure. Hawkeaster 2013 included the first two Hawkwind performances of The Warrior 2013 Tour, in which the band perform their 1975 album Warrior On The Edge Of Time in its entirety to celebrate the album’s 40th anniversary re-release. Ralf Hütter, One of the founder members of Innovative Pioneering German Electronic Group Kraftwerk was born on 20th August in 1946. Kraftwerk , (meaning power plant or power station) are an influential electronic music band from Düsseldorf, Germany. The group was formed by Ralf Hütter and Florian Schneider in 1970, and was fronted by them until Schneider’s departure in 2008. The signature Kraftwerk sound combines driving, repetitive rhythms with catchy melodies, mainly following a Western Classical style of harmony, with a minimalistic and strictly electronic instrumentation. The group’s simplified lyrics are at times sung through a vocoder or generated by computer-speech software and they are considered pioneers in the field of electronic music/synthpop and were one of the first groups to popularize electronic music during the 70′s when their distinctive sound was considered revolutionary. 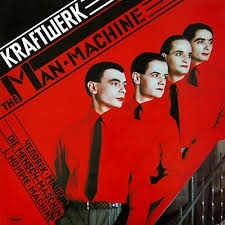 Kraftwerk’s inspirations continue to be contemporary. They are always revisiting previous songs and revamping and overhauling them in order to keep them sounding fresh. Today Kraftwerk remain as popular as ever and their influence has had a long lasting effect across many genres of modern music and has paved the way for many of todays electro/Techno bands and their influence can often stll be heard in much of today’s music and thanks to the ongoing popularity of songs like The Robots, Autobahn, Tour De France, Trans Europe Express and Computer Love they still remain relevent today. Hütter also revealed recently that they they have almost finished new material and will be releasing a new album “soon”. which will be their first LP since 2003′s Tour de France. Their next LP will be their 11th studio album and their first without Florian Schneider, who left the group some years ago. Robert Plant, the Former Vocalist with Rock band Led Zeppelin and successful solo artist was born 20th August 1948. Led Zeppelin are widely considered to be one of the most successful, innovative and influential rock groups in the history of music and were formed in 1968 after former Yardbirds Guitarist Jimmy Page recruited vocalist Robert Plant, drummer John Bonham, and John Paul Jones. The name Led Zeppelin stemmed from an old joke by Keith Moon and John Entwistle, of “The Who”, and Page stuck with that name to use for his new band. 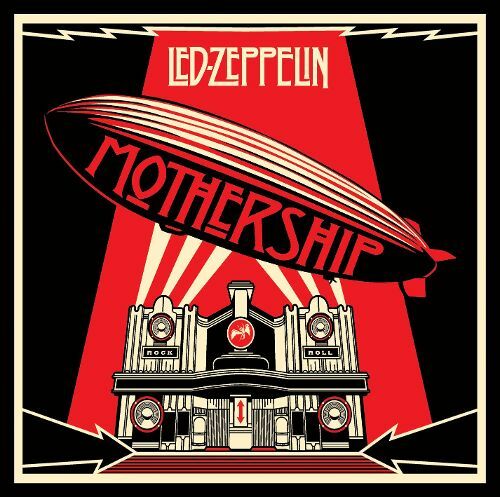 The name was subsequently changed to “Led Zeppelin”, to avoid a mispronunciation of “Leed Zeppelin.”Jimmy Page had a very specific idea in mind as to what he wanted Led Zeppelin to be, and wanted to add acoustic textures. 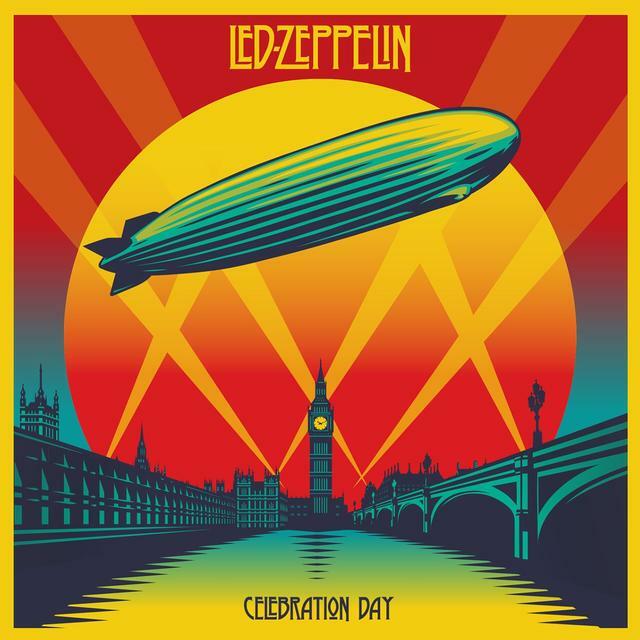 Zeppelin’s sound became a marriage of blues, hard rock and acoustic music topped with heavy choruses – a combination that had never been done back in the 1960′s. 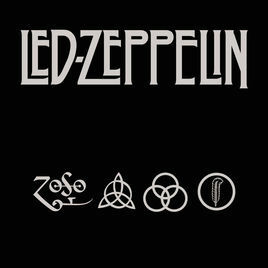 Led Zeppelin’s sound has since become a prototype for countless rock bands ever since, and was one of the major driving forces behind the rock sound of the 1970′s. Led Zeppelin released relatively few singles, preferring their albums to be viewed as indivisible, whole listening experiences, helping to promote the concept of album-orientated rock. Their first two albums, Led Zeppelin I and Led Zeppelin II had a heavy, guitar-driven blues rock sound, which led to Led Zeppelin being regularly cited as one of the progenitors of heavy metal and hard rock, even though the band’s individualistic style drew from varied sources and transcends any single music genre. 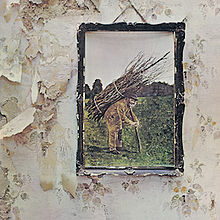 Their next two albums incorporated wider musical influences, particularly from folk music; the tracks “Stairway to Heaven“, and “Kashmir” are among the most popular and influential works in rock music, and cemented the status of the group as “superstars”. Led Zeppelin broke up in 1980 following the death of drummer John Bonham, and Page refused to touch a guitar out of sadness for the loss of his friend Bonham, After the break up , Plant briefly considered teaching, but nevertheless embarked on a successful solo career beginning with Pictures at Eleven in 1982, followed by 1983′s The Principle of Moments. Popular tracks from this period include “Big Log” (a Top 20 hit in 1983), “In the Mood” (1983), “Little by Little” (from 1985′s Shaken ‘n’ Stirred), “Far Post” “Tall Cool One” and “I Believe”, another song written for and dedicated to his late son, Karac. In 1984, Plant formed a short-lived all-star group with Jimmy Page and Jeff Beck called The Honeydrippers, who had a No. 3 hit with a remake of the Phil Phillips’ tune, “Sea of Love” and a followup hit with a cover of Roy Brown’s “Rockin’ at Midnight”. Although Plant avoided performing Led Zeppelin songs through much of this period (he occasionally would improvise his unique Zeppelin screams into his set), his tours in 1983 (with drummer Phil Collins) and 1985 were very successful, often performing to sold-out arena-sized venues. Plant and Page occasionally collaborated on various projects, including The Honeydrippers: Volume One album in 1984. In the spring 2 years later Robert performed at the Birmingham Heart Beat Charity Concert 1986. The pair again worked together in the studio on the 1988 Page solo effort, Outrider, and in the same year Page contributed to Plant’s album Now and Zen. Also, on 15 May 1988 Plant appeared with Page as a member of Led Zeppelin (and in his own right as a solo artist) at the Atlantic Records 40th Anniversary concert. Plant released the solo album Mighty Rearranger, and In 2007, Plant released Raising Sand, an album produced by T-Bone Burnett with American bluegrass soprano Alison Krauss, which won the 2009 Grammy Award for Album of the Year at the 51st Grammy Awards. Page also released “Band of Joy” in 2010 featuring the song “Little Angel Dance” and Plant’s latest album “Lullaby and the Ceaseless Roar” was released in 2014. With a career spanning more than 40 years, Plant is regarded as one of the most significant singers in the history of rock music, and has influenced contemporaries and later singers such as Freddie Mercury and Axl Rose. In 2006, heavy metal magazine Hit Parader named Plant the “Greatest Metal Vocalist of All Time”. In 2009, Plant was voted “the greatest voice in rock” in a poll conducted by Planet Rock. In 2011, Plant was also first place of the Rolling Stone magazine’s “Best Lead Singers of All Time”, and was also honoured as a Commander of the Order of the British Empire (CBE) for his services to popular music in 2009. The band are ranked number one on VH1′s 100 Greatest Artists of Hard Rock and Classic Rock’s “50 Best Live Acts of All Time”. They were awarded an Ivor Novello Award for “Outstanding Contribution to British Music” in 1977, as well as a “Lifetime Achievement Award” at the 42nd Annual Ivor Novello awards ceremony in 1997. The band were honoured with the “Best Live Act” prize for their one-off reunion at MOJO Awards 2008, where they were described as the “greatest rock and roll band of all time”. Hayes released Hot Buttered Soul, which became the most successful of these releases. This album is noted for Hayes’s image (shaved head, gold jewelry, sunglasses, etc.) and his distinct sound (extended orchestral songs relying heavily on organs, horns, and guitars, deep bass vocals, etc.). Also on the album, Hayes re-interprets “Walk On By” (which had been made famous by Dionne Warwick) into a 12-minute exploration. “By the Time I Get to Phoenix” starts with an eight-minute-long monologue before breaking into song, and the lone original number, the funky “Hyperbolicsyllabicsesquedalymistic” runs nearly ten minutes, a significant break from the standard three-minute soul/pop songs.”Walk On By” would be the first of many times Hayes would take a Burt Bacharach standard, generally made famous as three-minute pop songs by Dionne Warwick or Dusty Springfield, and transform it into a soulful, lengthy and almost gospel number. Hayes won an Academy Award for Best Original Song for the “Theme from Shaft”, and was nominated for Best Original Dramatic Score for the film’s score.Later in the year, Hayes released a double album, Black Moses, that expanded on his earlier sounds and featured The Jackson 5’s song “Never Can Say Goodbye”. Another single, “I Can’t Help It”, was not featured on the album.In 1972, Hayes would record the theme tune for the TV series The Men and enjoy a hit single (with “Type Thang” as a B-side).He released several other non-album singles during the year, such as “Feel Like Making Love”, “If Loving You Is Wrong (I Don’t Want To Be Right)”, and “Rolling Down a Mountainside”. Atlantic would re-release Hayes’s debut album this year with the new title In The Beginning. Hayes was back in 1973 with an acclaimed live double album, Live At Sahara Tahoe, and followed it up with the album Joy, with the eerie beat of the 15-minute title track. He moved away from cover songs with this album. An edited “Joy” would be a hit single.In 1974, Hayes was featured in the blaxploitation films Three Tough Guys and Truck Turner, and he recorded soundtracks for both.Tough Guys was almost devoid of vocals and Truck Turner yielded a single with the title theme. The soundtrack score was eventually used by filmmaker Quentin Tarantino in the Kill Bill film series and has been used for over 30 years as the opening score of Brazilian radio show Jornal de Esportes on the Jovem Pan station.Unlike most African-American musicians of the period, Hayes did not sport an Afro and instead chose to shave his head bald. Hayes was one of the creative influences behind the southern soul music label Stax Records, where he served both as an in-house songwriter and as a record producer, teaming with his partner David Porter during the mid-1960s. Hayes, Porter, Bill Withers, the Sherman Brothers, Steve Cropper, and John Fogerty were inducted into the Songwriters Hall of Fame in 2005 in recognition of writing scores of notable songs for themselves, the duo Sam & Dave,Carla Thomas, and others.The hit song “Soul Man”, written by Hayes and Porter and first performed by Sam & Dave, has been recognized as one of the most influential songs of the past 50 years by the Grammy Hall of Fame. It was also honored by The Rock and Roll Hall of Fame, byRolling Stone magazine, and by the RIAA as one of the Songs of the Century.During the late 1960s, Hayes also began recording music and he had several successful soul albums such as Hot Buttered Soul (1969) and Black Moses (1971). Hayes influences included Percy Mayfield, Big Joe Turner, James Brown, Jerry Butler, Sam Cooke, Fats Domino, Marvin Gaye, Otis Redding, and psychedelic soul groups like The Chambers Brothers and Sly and the Family Stone. Allmusic.com says that Isaac Hayes is responsible for the evolution of disco and rap. On August 5, 2003, Hayes was honored as a BMI Icon at the 2003 BMI Urban Awards for his enduring influence on generations of music makers.Throughout his songwriting career, Hayes received five BMI R&B Awards, two BMI Pop Awards, two BMI Urban Awards and six Million-Air citations. Sadly though He sadly passed away 10 August 2008, however, his songs generated more than 12 million performances and still remain popular. Philip Lynott, Irish singer-songwrite and guitarist with the band Thin Lizzy was born 20 August 1949.Thin Lizzy were formed in Dublin in 1969. Two of the founding members, drummer Brian Downey and bass guitarist/vocalist Phil Lynott, met while still in school. Lynott assumed the role of frontman and led them throughout their recording career of twelve studio albums. 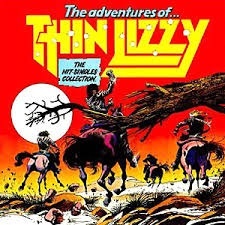 Thin Lizzy are best known for their songs “Whiskey in the Jar”, “Jailbreak” and “The Boys Are Back in Town”, all major international hits still played regularly on hard rock andclassic rock radio stations. Growing up in Dublin in the 1960s, Lynott fronted several bands as a lead vocalist, most notably Skid Row alongside Gary Moore, before learning the bass guitar and forming Thin Lizzy in 1969. After initial success with Whiskey in the Jar, the band found strong commercial success in the mid-1970s with hits such as “The Boys Are Back in Town”, “Jailbreak” and “Waiting for an Alibi”, and became a popular live attraction due to the combination of Lynott’s vocal and songwriting skills and the use of dual lead guitars. Towards the end of the 1970s, Lynott also embarked upon a solo career and published two books of poetry. Lynott, Thin Lizzy’s de facto leader, was composer or co-composer of almost all of the band’s songs, and the first black Irishman to achieve commercial success in the field of hard rock music. Thin Lizzy boasted some of the most critically acclaimed guitarists throughout their history, with Downey and Lynott as the rhythm section, on the drums and bass guitar. As well as being multiracial, the band drew their members not only from both sides of the Irish border but also from both the Catholic and Protestant communities during The Troubles. Their music reflects a wide range of influences, including blues, soul music, psychedelic rock, and traditional Irish folk music, but is generally classified as hard rock or sometimes heavy metal. Rolling Stone magazine describes the band as distinctly hard rock, “far apart from the braying mid-70s metal pack”. Allmusic critic John Dougan has written that “As the band’s creative force, Lynott was a more insightful and intelligent writer than many of his ilk, preferring slice-of-life working-class dramas of love and hate influenced byBob Dylan, Van Morrison, Bruce Springsteen, and virtually all of the Irish literary tradition.” Van Morrison, Jeff Beck and Jimi Hendrix were major influences during the early days of the band, and later influences included the pioneering twin lead guitars found in Wishbone Ash and American artists Little Feat andBob Seger. After Thin Lizzy disbanded, Phil Lynott assembled and fronted the band Grand Slam with Gary Moore and subsequently had major UK success with Moore with the song “Out in the Fields”, followed by a minor hit “Nineteen”, he was the leader before it folded in 1985. Unfortunately Lynott sadly died on 4 January 1986, but remains a popular figure in the rock world, and in 2005, a statue was erected in his memory. in 2012, Gorham and Downey also decided against recording new material as Thin Lizzy so a new band, Black Star Riders, was formed to tour and produce new releases such as the All Hell Breaks Loose album, although Thin Lizzy plan to reunite for occasional concerts. American author Howard Phillips Lovecraft was born August 20, 1890, known as H. P. Lovecraft he wrote mostly horror, fantasy, poetry and science fiction, especially the subgenre known as weird fiction. Lovecraft’s guiding aesthetic and philosophical principle was what he termed “cosmicism” or “cosmic horror”, the idea that life is incomprehensible to human minds and that the universe is fundamentally inimical to the interests of humankind. As such, his stories express a profound indifference to human beliefs and affairs. Lovecraft is the originator of the Cthulhu Mythos story cycle and the Necronomicon, a fictional magical textbook of rites and forbidden lore. Some of Lovecraft’s work was inspired by his own nightmares. His interest started from his childhood days when his grandfather would tell him Gothic horror stories. Lovecraft’s biggest influence was Edgar Allan Poe and forbidden knowledge Is often a central theme in many of Lovecraft’s works.Many of his characters are driven by curiosity or scientific endeavor, and in many of his stories the knowledge they uncover proves Promethean in nature, either filling the seeker with regret for what they have learned, destroying them psychically, or completely destroying the person who holds the knowledge. Some critics argue that this theme is a reflection of Lovecraft’s contempt of the world around him, causing him to search inwardly for knowledge and inspiration. 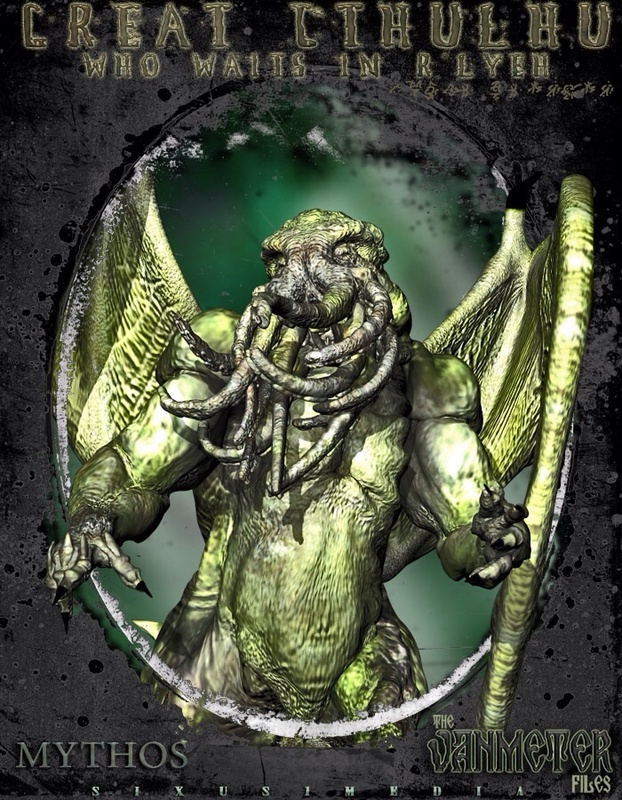 The beings of Lovecraft’s mythos often have human (or mostly human) servants; Cthulhu, for instance, is worshiped under various names by cults amongst both the Eskimos of Greenlandand voodoo circles of Louisiana, and in many other parts of the world.These worshipers served a useful narrative purpose for Lovecraft. Many beings of the Mythos were too powerful to be defeated by human opponents, and so horrific that direct knowledge of them meant insanity for the victim. When dealing with such beings, Lovecraft needed a way to provide exposition and build tension without bringing the story to a premature end. Human followers gave him a way to reveal information about their “gods” in a diluted form, and also made it possible for his protagonists to win paltry victories. Lovecraft, like his contemporaries, envisioned “savages” as closer to supernatural knowledge unknown to civilized man. Another recurring theme in Lovecraft’s stories is the idea that descendants in a bloodline can never escape the stain of crimes committed by their forebears, at least if the crimes are atrocious enough. Descendants may be very far removed, both in place and in time (and, indeed, in culpability), from the act itself, and yet, they may be haunted by the revenant past, e.g. “The Rats in the Walls”, “The Lurking Fear”, “Arthur Jermyn”, “The Alchemist”, “The Shadow Over Innsmouth”, “The Doom that Came to Sarnath” and The Case of Charles Dexter Ward. H. P. Lovecraft’s writing, particularly the so-called Cthulhu Mythos, has influenced fiction authors including modern horror and fantasy writers such as Stephen King, Ramsey Campbell, Bentley Little, Joe R. Lansdale, Alan Moore, Junji Ito, F. Paul Wilson, Brian Lumley, Caitlín R. Kiernan, and Neil Gaiman, have cited Lovecraft as one of their primary influences. Beyond direct adaptation, Lovecraft and his stories have had a profound impact on popular culture. Some influence was direct, as he was a friend, inspiration, and correspondent to many of his contemporaries, such as August Derleth, Robert E. Howard, Robert Bloch and Fritz Leiber. Many later figures were influenced by Lovecraft’s works, including author and artist Clive Barker, prolific horror writer Stephen King, comics writers Alan Moore, Neil Gaiman and Mike Mignola, film directors John Carpenter, Stuart Gordon, Guillermo Del Toro and artist H. R. Giger. Japan has also been significantly inspired and terrified by Lovecraft’s creations and thus even entered the manga and anime media. anime scriptwriter Chiaki J. Konaka is an acknowledged Lovecraft disciple and has participated in Cthulhu Mythos, expanding several Japanese versions and is credited for spreading the popularity of Lovecraft among anime base. Manga artist Junji Ito is also inspired by Lovecraft. Although Lovecraft’s readership was limited during his lifetime, his reputation has grown over the decades, and he is now regarded as one of the most influential horror writers of the 20th century. According to Joyce Carol Oates, an award-winning author, Lovecraft—as with Edgar Allan Poe in the 19th century—has exerted “an incalculable influence on succeeding generations of writers of horror fiction”. Science fiction and fantasy authorStephen King called Lovecraft “the twentieth century’s greatest practitioner of the classic horror tale. King has made it clear in his semi-autobiographical book Danse Macabre that Lovecraft was responsible for King’s own fascination with horror and the macabre, and was the single largest figure to influence his fiction writing. Sadly though in 1936, Lovecraft was diagnosed with cancer of the small intestine, and as a result he suffered from malnutrition. He lived in constant pain until his death on March 15, 1937, in Providence. However Lovecraft’s legacy lives on and his stories have been adapted into plays, films and games, such as Call of Cthulhu: Dark Corners of the Earth and id Software’s Quake.